Register to download for free - this is now available. Nice work by Rob Bowden. Activity 1: “Someone like me” This activity uses aspects of identity to stimulate dialogue and provide an opportunity for young people to challenge their own thoughts about refugees and asylum seekers. The focus is less on the label of “refugee” or “asylum seeker” and more on the common humanity of refugees/asylum seekers as “someone like me” (someone that I can relate to). Activity 2: Mutual respect and understanding This activity explores the importance of mutual respect and understanding for creating communities. It introduces learners to universal human values and asks them to consider their own values, as well as the values needed to build mutual respect and understanding. 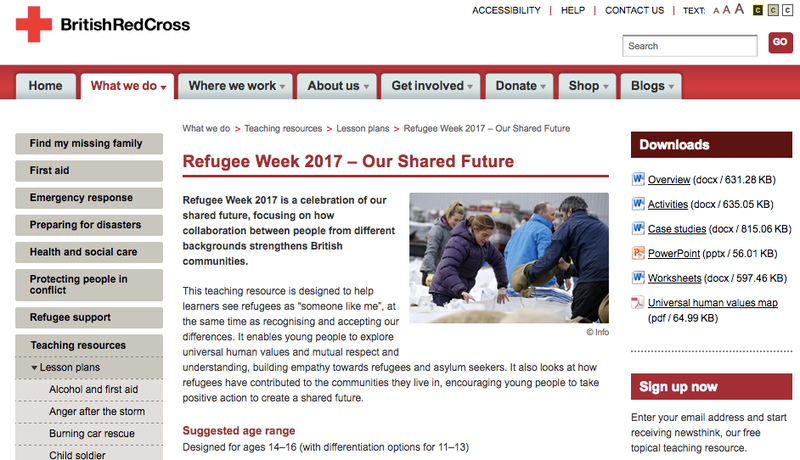 Activity 3: Building empathy This activity introduces young people to a real-life story to help them build empathy for refugees and asylum seekers. It is based around a short film (3 min 26 sec) about Ali, who came to the UK from Afghanistan. Young people think about Ali’s needs and values before considering the similarities and differences between Ali’s values and their own. Activity 4: Community building This activity provides case studies of refugees and asylum seekers making a positive contribution as active citizens to the communities that they live in. 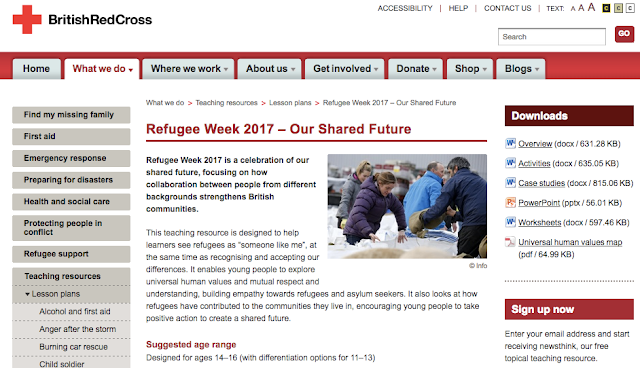 It helps young people to consider refugees as fellow citizens and to think about their own role as active citizens. Activity 5: Taking positive action This final activity builds on the previous activities, focusing on the roles that young people can play in creating a positive shared future. It asks them to consider values, attitudes and actions in order to produce a positive action plan. The outputs from this activity could be used for wider sharing.